Perdido Key is a perfect small town to spend holiday. Located between Pensacola, Florida and Gulf Shores, Alabama, Perdido Key is situated smack dab in between many vacationers but without the noise. 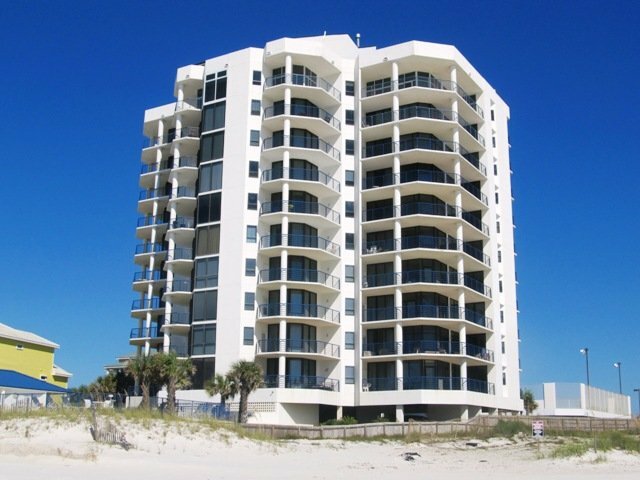 Perdido Key boasts beautiful, white sand beaches and a scatter of restaurants within driving distance. Land's End is a condo and though I love to share with you houses, this condo is located at end of a run of houses and condos. To the right of this building is nothing but National Seashore and to the left are private homes. If you want a vacation where you are semi-secluded with top notch amenities, I would suggest Land's End. There are not many condos to rent at all in this building which I find very interesting. Mostly your neighbors will be owners or guests of owners. This condo provides three bedroom and has room for eight guests.